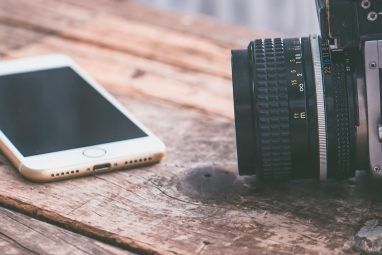 Do you record many videos with your iPhone? 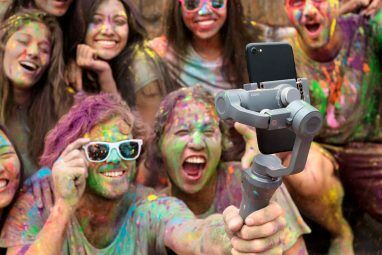 The latest versions of the device can record video in 1080P, so if you are not, you are missing out on one of the nicest features of your device. When cool things happen in the world, you want to make them into memories, and one of the best ways to do this is to take a video. That being said, what if there was one particular moment in the video that you wanted to make into a still image? Maybe something awesome happened while you were skiing or playing basketball that you would love to have as your Facebook picture, but you only recorded a video. How can you take that video and make it into a photograph? The process is actually very easy, as long as you have StillShot installed on your device. It allows you to choose any frame from a video and make that into a photo. Using StillShot is incredibly easy. Obviously, the first step is purchasing the application from the iTunes App Store. It will set you back $0.99, but if you are a person who takes a lot of videos, that is a price well worth paying. 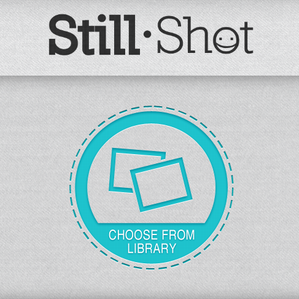 When you first open the app there is a handy video that explains how StillShot works. It is only nine seconds long, so it is not designed to be a tutorial,rather it is just a brief introduction into what the app does. If you want to see the video again at any time, simple tap the button with the play symbol at the bottom of the screen. When you are ready to make your first image, tap the blue “Choose from Library” button in the middle of the screen. StillShot will take you to your camera roll, where you can select the video from which you would like to extract a photo. 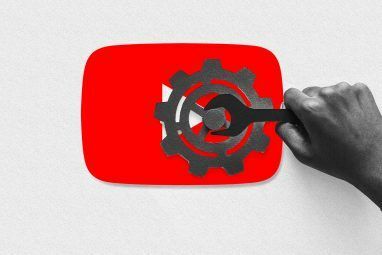 Click on the video, and the app will take a second or two to analyze the video and separate it frame-by-frame so you can choose the particular piece you want to use for your image. There are three options for navigating around your video to choose what will ultimately become your photo. You can press play at the top of the screen, and it will play the video like normal. You can also drag the bar at the bottom, which allows you to scroll through the video quickly. Last, you can use the middle to drag each frame. This is the most precise method for moving through your video. When you finally decide which frame you want as a picture, click the “Save” button and your photo will be exported to your camera roll. On the last page of the photo creation process is where you will get to see your image, and share it with Facebook and Twitter. To share it with one of these social networks, simply tap the button, and it will be sent out for all of your friends to see. This app does one thing, and it does it well. If you have a video and you want to take a small piece of it and make it into a still shot, this is the perfect app for you. The process literally could not be any more efficient. Take this app for a spin, and you will not be disappointed. Did you try this app? How did you like it? Let us know in the comments. Explore more about: iPhoneography, Online Video, Photography.